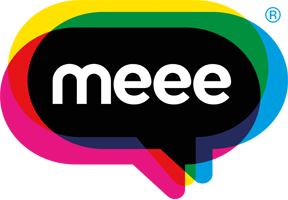 Two local schools in North Wales have been working with our Meee Education Programme and to celebrate their hard work and forward thinking we decided to go on a huge trip down to London! 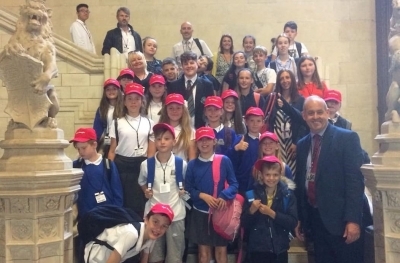 Pupils from Ysgol Maesglas and Flint High school joined the Meee team on a visit to the Houses of Parliament where we were greeted by Chris Waterman, founder of Investors In Families (IFF) who has worked as a policy maker in the Children and Education sector for over 10 years. We listened to several speakers during the trip that discussed making politics and the importance of voting central to why democracy/politics is for everyone. Our first guest speaker of the day, Mr Mark Tami, MP for Alyn and Deeside, gave a very interesting talk about the role of an MP and how the work he carried out affected the pupils and their families. It was a really great chance to understand how this relationship work between local government and people works. Following this talk we were invited on a tour of the House of Parliament building. We saw many interesting rooms including the largest entrance hall in the UK where Henry VIII played tennis. We even went inside the victor’s chamber of the House of Lords where we watched a debate happening live on the importance of people saving money and what affect this has on our nation’s economy. Inside the building is a fantastic display museum that is celebrating the 100-year anniversary of the suffragettes which was super inspiring to everyone who saw it. The exhibit contained lots of amazing facts, quotes and examples of why democracy and the vote are vital in our contemporary world. To finish off the afternoon, we had a wonderful poetry reading from Chris followed by our final guest speaker, David Hanson MP for Delyn. David gave a very interesting talk on the role he plays in politics, his local community and how he got into politics to begin with. The pupils did a great question and answer session that they found both exciting and informative. We had an absolutely amazing day, the pupils, students and the Meee team thoroughly enjoyed a chance to explore London. We are so grateful that Ysgol Maes Glas and Flight High School took part in the Meee Programme and look forward to working with them further in the future. Some special thanks go to Chris Owens MD of Jones Holidays, part of Alpine Travel Group in North Wales for their brilliant service and efforts with organising the trip. We funded the trip to London to help with the pupil's development and their learning. We are hoping to make this an annual event that can go further afield and take other schools to new places. Our next aim is to organise a trip for World Book Day 2019 to celebrate a love for literature and learning. A huge big thank you to Jim and Gavin, headmaster of the two schools and the teachers who joined us and made this amazing trip possible. Sid said that it was "a brilliant day after a very early start. The pupils were amazing and it was a pleasure to be part of this"
Jim, headmaster at Flint High said "The London trip was a chance for pupils from our schools to see how government works and the experience of meeting two MPs from their own constituencies was fantastic. This is exactly why FHS are involved with the Meee project as it allows our pupils opportunity to ask questions about themselves and their place in the wider world. We believe that it can change their outlook on who they are and help them recognise all they can be in the future"
"You make mistakes, mistakes don’t make you"